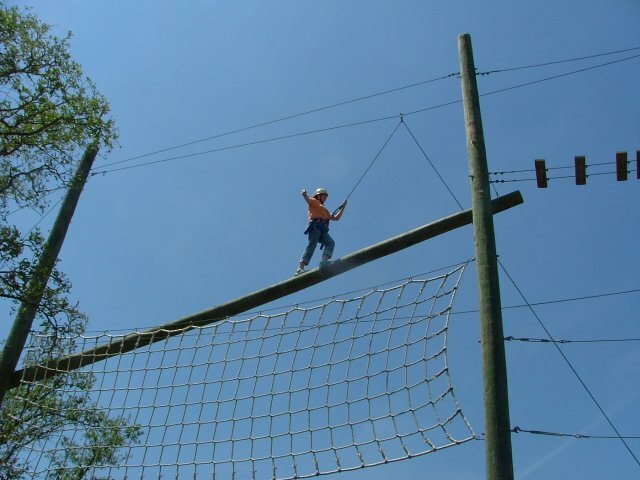 The High Ropes Challenge is an obstacle course that is offered to all campers at the retreat center we were at. 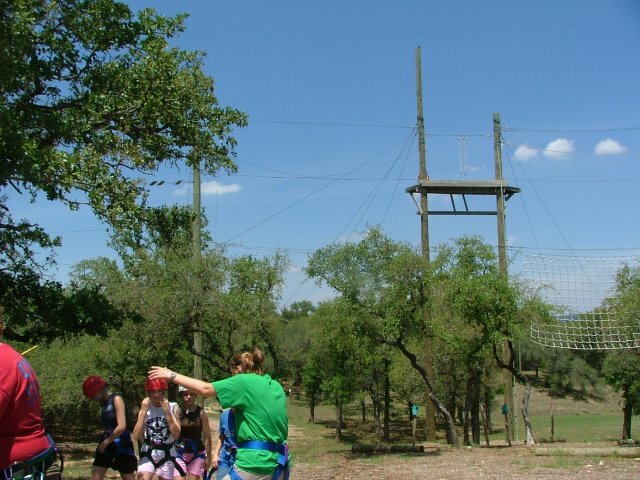 There were approximately 250 ladies and teens present at the Above Rubies retreat. 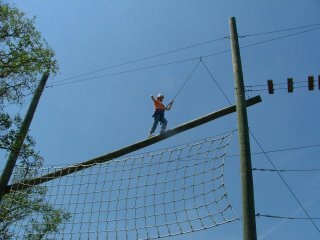 Out of 250 ladies, only 12 signed up for the High Ropes Challenge. Out of those 12 participants, SIX were from Living Water Fellowship (our church). What does that mean exactly?? Funny that Mrs. Campbell was speaking on being Feminine…and so we follow up her talk by participating in a testosterone-inducing activity. It’s called balancing the scales I suppose!! LOL! Yep…that’s where I was headed. 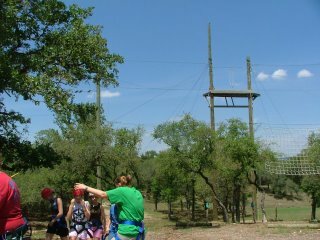 At the top of that pole is a zip line! The reward for completing the High Ropes Challenge! First I had to cross the inclined pole that was bolted to two telephone poles 40′ off the ground. 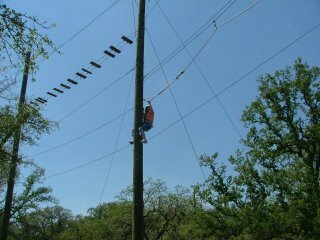 And no, they didn’t hoist me up there, I actually had to scale the pole. Then, I had to cross the bridge. If you stepped anywhere but directly in the middle of the boards, you would lose your balance. It wasn’t hard, but it wasn’t easy. Took a lot of concentration. 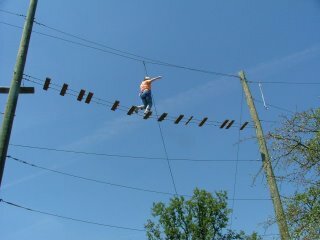 And afterwards I had to scale down to the mid-ropes because I was too chicken to do the very last “high ropes” challenge. By the time I finally got here, I was tired. My legs were tired and I had a blister on my hand. It was hot out too, and I could tell I was getting a sunburn.